Change is never easy and saying goodbye is even harder. 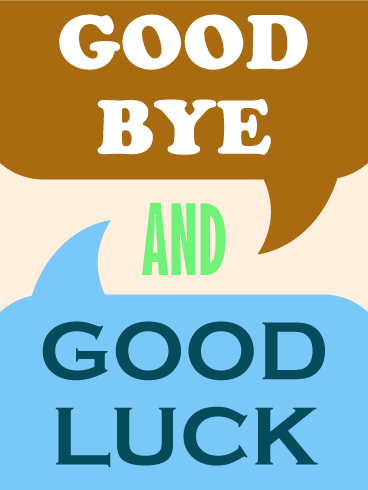 If you know someone who is about to move, send them this Good Luck card to let them know you care. This card has a tan background with the message written in a dark brown speech bubble at the top and a blue speech bubble at the bottom. Send your good wishes with this Good Luck card today! Going Away parties are not a celebration of someone's leaving. Instead, they are a fun way to send good wishes to your loved ones as they move. This Good Luck card shows three purple, yellow, and red party balloons as they float across a turquoise, cloud-filled sky. The bottom half of the card displays the card's message in blue, white, and aqua text. When you move from one stage of life to the next, you always want the support of your family and friends. 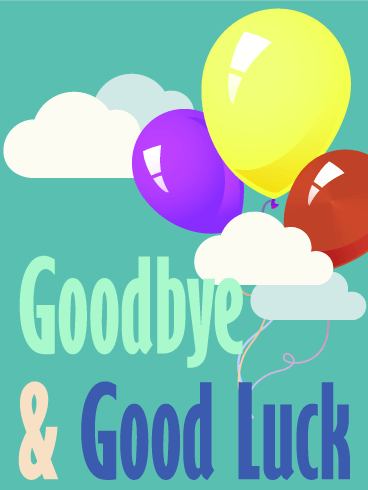 As your loved one moves to life's next chapter, send them a Good Luck card to show your support. This card's background is a cloud-filled, blue sky. Three graceful birds -colored blue and purple, orange and red, and purple and pink -fly through the air around the card's multi-colored message. Is there a Going Away party you have to miss? 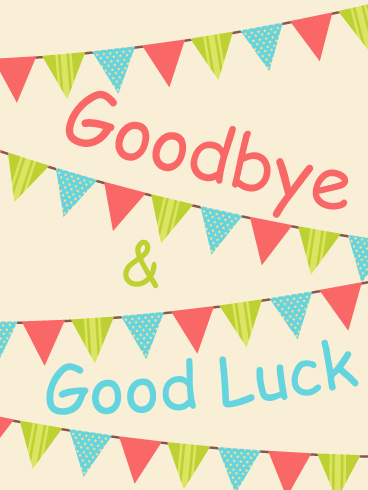 Do you want to send a Good Luck card to let your friend, family member, or coworker know that you will miss them? 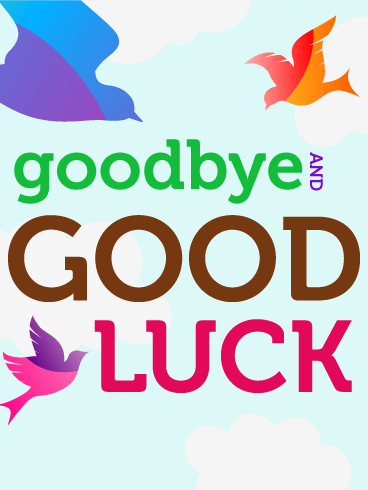 If so, send this Colorful Good Luck card to let them know you care! Green, red, and blue pendants hang on four strings across the card for decoration. Use this Good Luck card to send your good wishes for the next stage of life!